Article By: Devin O'Brien, M.A. When looking for the right lip balm, you should definitely check the ingredients. The majority of custom lip balms are manufactured in China and have a petroleum base (something no one should want to put on their body). We’ve partnered with a U.S. manufacturer that not only produces all natural lip balm, but arguably the best tasting lip balm in America. So what makes this lip balm the best? All Natural - Our lip balm ingredients come straight form the Earth. Our lip balms are made from sunflower oil, bees wax, extra virgin olive oil, hemp seed oil, and non-GMO vitamin E. What's more, our lip balms are 100% gluten-free. USDA Organic - Our manufacturing facility is one of the few certified to produce USDA organic products. We avo id synthetic chemicals, genetically modified seed (GMO), and use farmland that has been free from prohibited chemical inputs. Certified B Corporation - Our manufacturing facility is recognized for meeting the highest standards of accountability, transparency, and social & environmental performance. Companies with B Corp Certification subject themselves to a rigorous analysis of their impact on their employees, customers, community, and the environment. Essentially, we are about what we do and we hope to make a positive impact on the world around us (rather than simply capturing customer dollars). Proposition 65 Compliant - Short for the Safe Drinking Water and Toxic Enforcement Act of 1986, it requires companies that do business in California to list warnings for high levels of chemicals that can cause cancer, birth defects, or reproductive issues. The current Proposition 65 list of chemicals includes over 800 chemicals that may cause harm to humans. The safest lip balms don't contain synthetic chemicals and our all natural lip balms don't either. Learn more about Proposition 65. 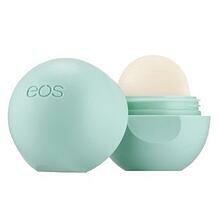 Did you know our amazing lip balm is made in the same facility as EOS Organic Lip Balm? Yes, we are talking about the same product you purchase in retail but with a custom lip balm label for promotional products. The same USA made lip balm that we've grown to love can be manufactured in bulk with your logo or custom design and used to promote your business or advertising campaign. The best all natural lip balm is an organic lip balm, especially if you plan to hand them out in bulk to new acquaintances. For advertising purposes, bulk lip balms with custom labels are the perfect giveaway. Each label is printed in full color and can be individually customized (Variable Data Printing) with promo codes and other unique identifiers. Custom lip balms are relatively inexpensive and offer an amazing tactile experience (taste). With flavors like Eucalyptus Mint, Citrus, and Vanilla; your recipients will be raving about the positive experience they've shared with your brand. 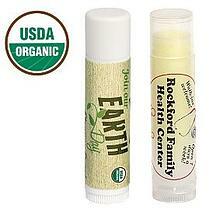 The safest lip balms to hand out don't include unnatural ingredients or synthetic chemicals. Lucky for you, O'Brien Corporation is thinking ahead to a more eco-friendly and sustainable promotional products marketplace. When dry lips call, organic lip balms are above them all.